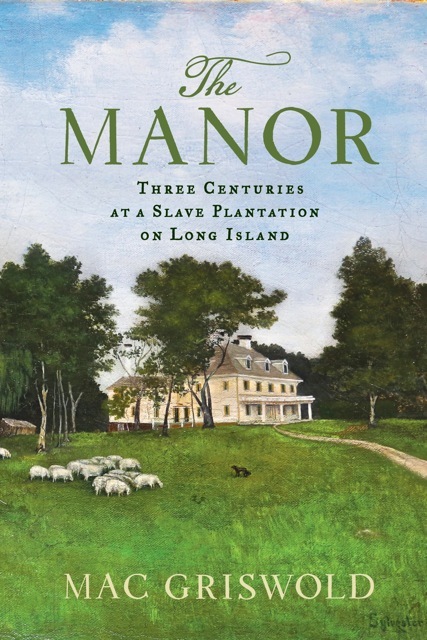 Mac Griswold's new book, The Manor: Three Centuries at a Slave Plantation on Long Island, was released by Farrar, Straus and Giroux. Buy it now on Amazon.com! The Manor is the biography of a uniquely American place that has endured through wars great and small, through fortunes won and lost, through histories bright and sinister—and of the family that has lived there since its founding as a New England slave plantation three and a half centuries ago. It is a historical narrative that tells the story of slavery, emancipation, racism, prejudice and silent prejudice in New England through a single piece of land. The Christian Science Monitor called The Manor "a transcendent saga about the power of history and place, about who we were as a people, centuries before, and how that identity is part of who we became."